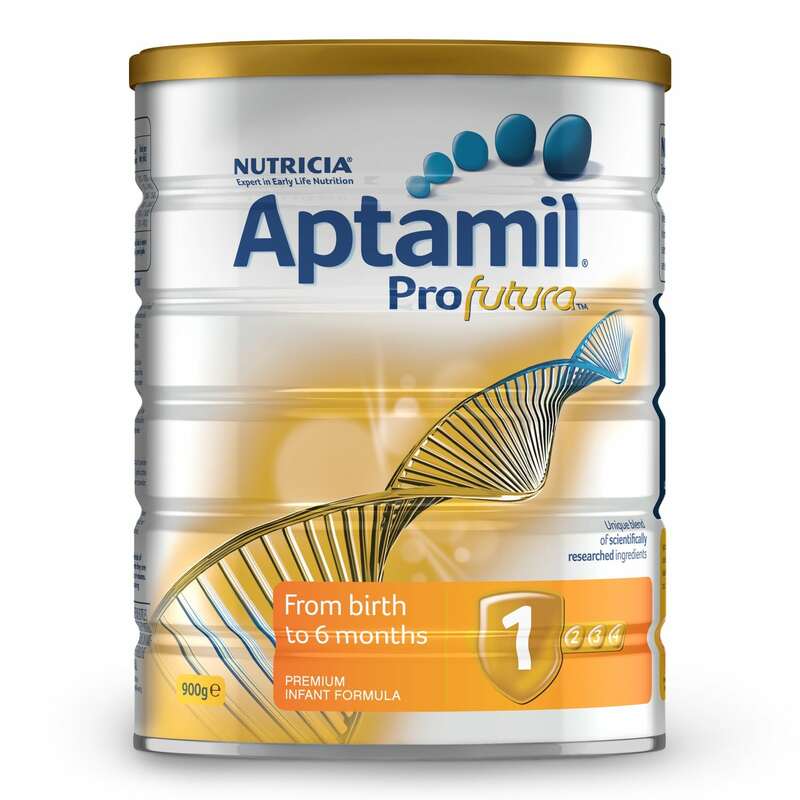 Aptamil® Profutura 1 Infant Formula is a nutritionally complete premium infant formula for babies from birth to 6 months of age. Breast milk is best for babies. Before you decide to use this product, consult your doctor or health worker for advice. Dental Hygiene: Putting your baby to bed with a bottle can cause tooth decay. Milk solids, vegetable oils (contains soy, antioxidant (ascorbyl palmitate, citric acid)), galacto-oligosaccharides (contains milk), dried omega LCPUFAs (contain fish, milk, soy, antioxidant (mixed tocopherols, dl-alpha tocopherol, ascorbyl palmitate, sodium ascorbate, citric acid)), long chain polyfructose, emulsifier (soy lecithin), taurine, choline chloride, Bifidobacterium breve M-16V (750 million cfu/100mL), L-carnitine, inositol. Aptamil Profutura Infant Formula 0-6 months 900g is rated 4.7 out of 5 by 3. Rated 5 out of 5 by Molly28 from best formula very well tolerated, easy to dissolve. baby likes to drink it very much. Will recommend to anyone.